Can we see the face of God? And would we even know it if we did? Brother Sean Conrad recalls a time when he visited a deformed girl in a small apartment in the Bronx. Her legs and arms were the size of a three-year old’s, but the rest of her body was that of a twelve-year old’s. Father Mark-Mary reminds us that it is in these moments that God reaches out to us, often in the distressed disguise of the poor and lonely. Learn more about the CFRs here. Br. 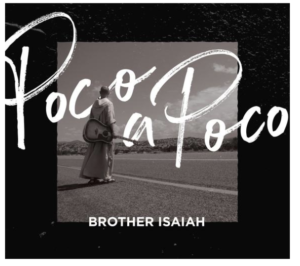 Isaiah has put this phrase into practice with his new album, Poco a Poco. The Franciscan Friars spend hours each day in meditative prayer. They have drawn from the quiet depths of their daily prayer to write these songs which they hope will help Catholics maintain a prayerful state as they go through their lives.